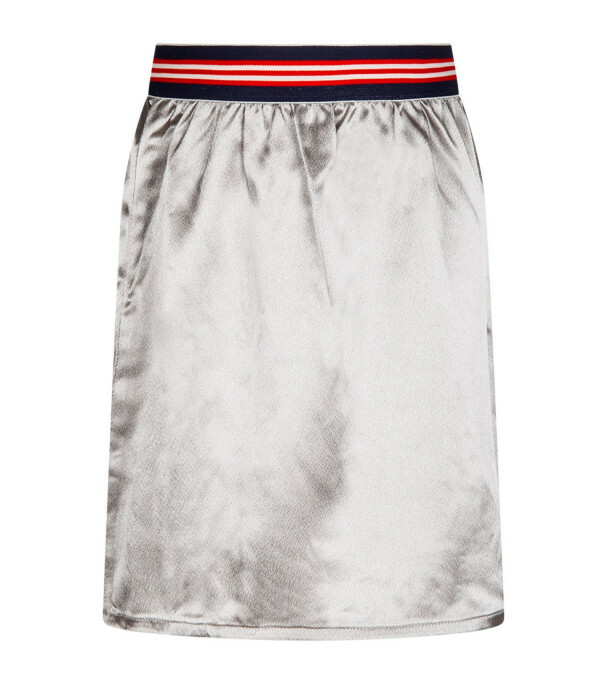 Color: Silver - Description: Silver midi acetate skirt, with white, blue and red striped elastic waistband. 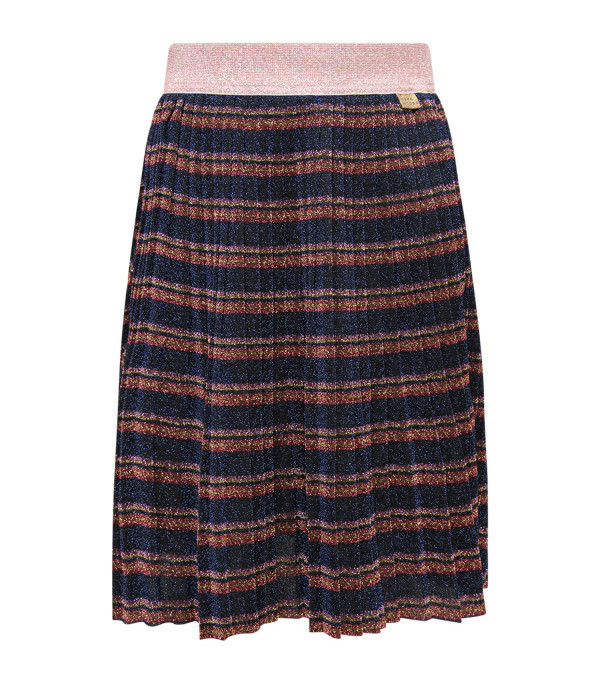 - Details: 100% Polyester. Machine wash at 30°C. 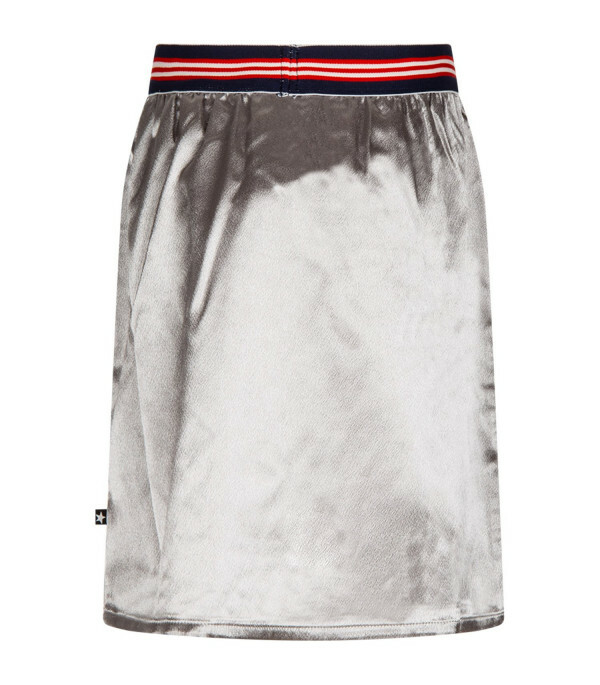 Description: Silver midi acetate skirt, with white, blue and red striped elastic waistband.